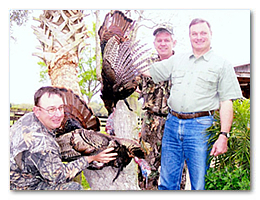 The Florida wild turkey, more commonly referred to as the Osceola wild turkey, is found only on the peninsula of Florida and recognized only as pure blood Osceolas if taken south of a line between Taylor and Dixie counties on the Gulf coast on line eastward across the state between Nassau and Duval counties on the Atlantic coast. 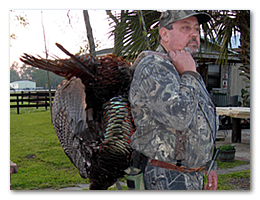 The Osceola wild turkey has become the most coveted species among avid turkey hunters because they are only found in a small portion of the country and its formidable reputation for being the most elusive of all wild turkey species to hunt. 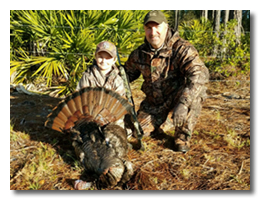 We invite you to come to Florida this spring for an exciting 3-day Osceola hunt on private ranches where you will be guided 1x1 by one of the most experienced turkey hunters in the state. 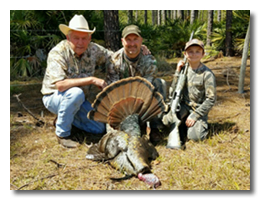 While the Osceola wild turkey season opens in mid-March and extends through mid-April, we only take 6-8 hunters on these ranches during the entire spring season. We offer flexibility to fit your schedule. 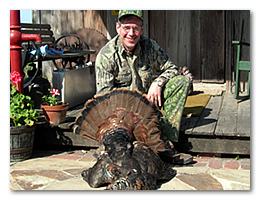 You can arrive on Friday and hunt Saturday through Monday or arrive on Saturday and hunt Sunday through Tuesday. 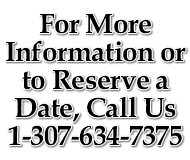 We can pick you up if you fly into Daytona Beach or you can fly into Orlando and rent a vehicle. After a short drive to the lodge, you will enjoy a hardy home-cooked meal. 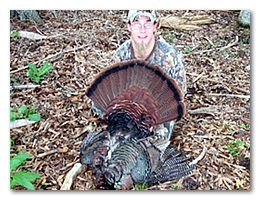 After a good night’s rest, you will hit the field in search that elusive Osceola gobbler. 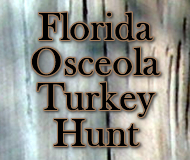 In addition, we can obtain your hunting license ($46.50) and Osceola turkey tag ($125) online or upon your arrival. 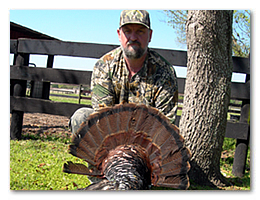 Whether you are looking to complete your super slam, grand slam or simply seeking some outstanding turkey hunting action this spring, we have the place for that to happen. 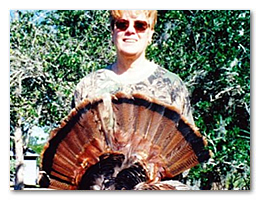 Call or email us to reserve your Florida turkey hunt. Our March and April 2018 season is full but we are taking names in case of a cancellation. Please call to add your name. 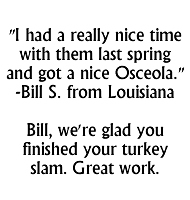 For more information or to reserve a Florida Osceola turkey hunt, contact us via e-mail or call us 1-307-634-7375.